Roxborough, northeast Tobago; 32 hectares of cultivated soil, 20 of them with cacáo, utilizing HDP (High Density Planting) as practiced by the likes of Paul Manickchand on the sister island of Trinidad. 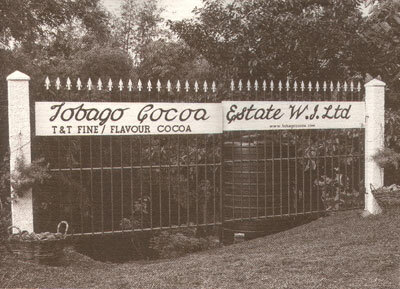 Welcome to Tobago Cocoa Estate West Indies Ltd. First Harvest: 2009. 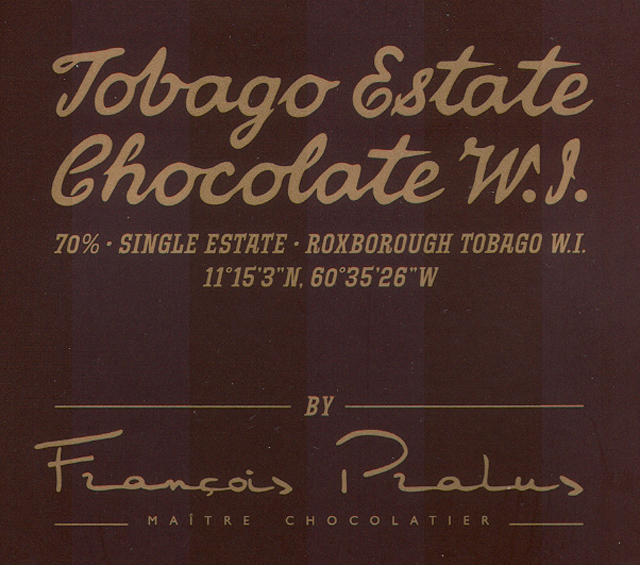 True single-origin / single-estate of grand cru vintage. Chief Broman (i.e., tender to the cacáo trees) & proprietor: Duane Dove. Adopted by Sweden during the 1990s to pursue studies in wine & spirits at the Swedish Restaurant Academy, earning him a trained Sommelier degree with an apt speciality in aged rum. Hence his Small Island shops in Södermalm, Stockholm. But, in his lilting Caribbean voice, “Tobago to the bone & a son of its soil”. His family roots there go back a couple centuries. The dual cultures led Duane to experiment, pairing rum with chocolate, which then brought him back to the Caribbean & Tobago. Besides sugar, both often share complimentary overtones of vanilla & caramel. The other link in this saga: a Swede, the botanist Carl Linneaus, classified the tree from which chocolate derives & baptized it Theobroma cacao (theobroma being Greek for ‘God-food’) in 1753. Just another instance of the binding connections chocolate envelopes -- however far or near, wide or confined. It has served this role for millennia now from the Olmec & Maya to European aristocracy & American school kids. And because of it, Duane, who plants one foot on each side of the Atlantic, stands on firm ground. 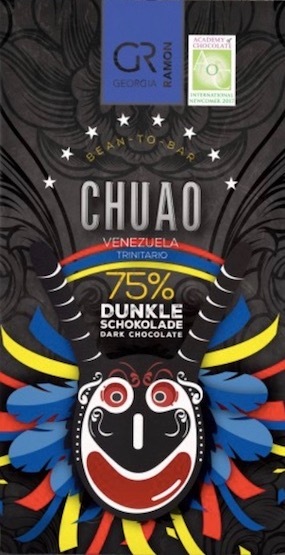 More than just a bar, this therefore embodies a message, an ethos, a story & a life while promoting both agri-tourism as well as cacáo because “everything costs” & it helps to maintain the fragile balance of the local ecology... not to mention economy. While soil, terroir, & social relations matter, Duane freely admits, as he likes to say, that the proof is in the pudding. Pudding in this case means chocolate of course. Yes, the proof is in the chocolate. 70% proof. Further magnified when taken thru a sip of white rum in keeping with the Duane Dove spirit. 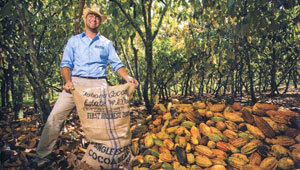 Tobago Estate: proof-positive that this man with a vision & a heart is busy building a legacy. Duane Dove works with Dr. Darin Sukha at CRU (Cocoa Research Unit) in Trinidad for genetic breeding apps. 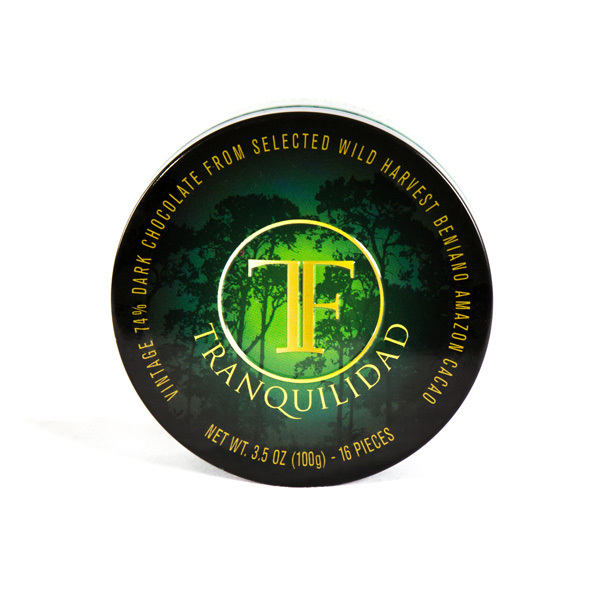 Together they’ve crossed 7 varieties which, given Trinidad’s cacáo heritage, can rightfully bear the name Trinitario. Among them are TSH 919 (Trinidad Select Hybrid) & the ICS series with its Criollo-germplasm generating fruit & floral notes. Cacáo seeds, surrounded by a mostly sweet-pulp, are treated to a 4–7 day ferment in wooden sweat boxes; then traditionally sun-dried. From there the beans are shipped to the moody François Pralus in Roanne, France where Duane says he has come to “accept the Pralus-style” – deep roast / long conche (the latter 72 hours). 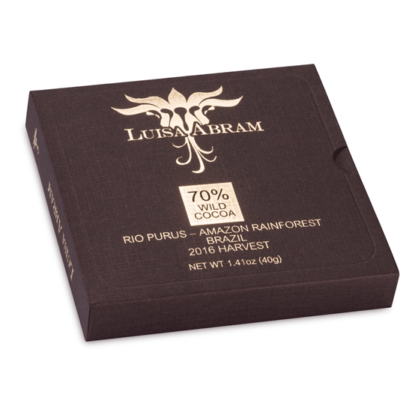 In a bit of a departure for Pralus, who customarily packs his bars at 75% cacáo-content, this lightens the load to 70%. A dense & unassuming chocolate nonetheless that belies its middling scale & modest sexiness; the whole experience feeling a bit mechanical (especially in the Texture). The positives outweigh all that however: very pal-friendly (pal for palate)... virtually no bitterness nor astringent grip -- a sign of masterful post-harvest techniques & processing – presenting clean & well-defined flavor, in particular some upfront fruit. So despite a taste that suggests possible lineage to Bolivia (honey), Ecuador (blackberry), Bali (bamboo) & just about everywhere (coffee), in the end a rather simple bar of sturdy core cocoa tags overlain by a sweet fruit spot that transports all Tobago.